It is the shared responsibility of all educators in The School District of Philadelphia to foster and support EL’s academic learning and provide opportunities for English language development. The OMCP provides support and resources for educators to do just that. The Office of Multilingual Curriculum and Program’s mission is to ensure English Learners access to a high-quality education. We commit to providing clear guidance and strong leadership in order to help you support English Learners. The resources below incorporate the most updated procedures with consistent instructions and timelines, including a comprehensive guide or handbook to deepen your knowledge of ESOL and bilingual programs. You will also find a set of forms and instructional resources that will enhance and facilitate communication between schools and the central office. We hope you visit the various professional development opportunities related to English Language instruction and skills and that they help you in working with our diverse student body. Lastly, we invite you to explore our events, especially the ESOL Summer Institute held every summer for networking with peers, discussing practice, and solidifying a learning community that will ensure ELs a welcoming environment that values their linguistic and cultural assets. 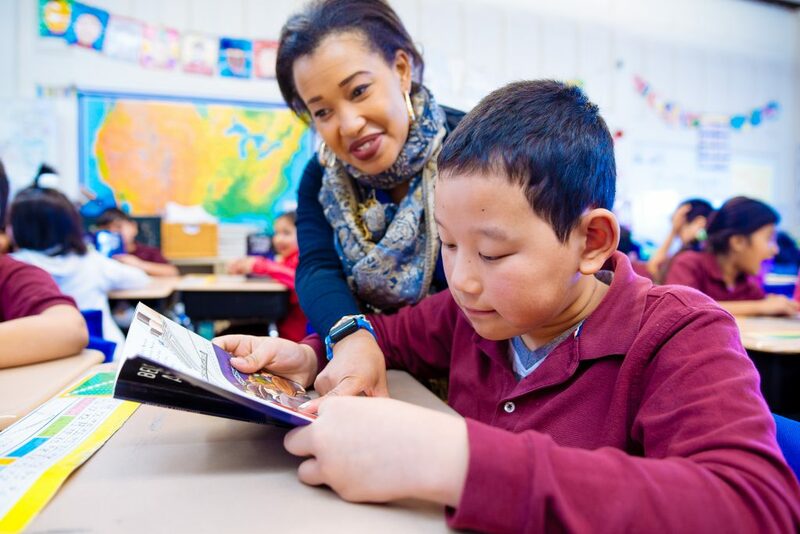 Below you will find resources provided by the Office of Multilingual Curriculum and Programs which may be used to guide English Learner instruction. This document provides guidelines for educators who manage English Learner programs. This manual provides information about the district's Bilingual/Dual Language Learning programs. This program is for high school-aged students who have recently arrived in the U.S. Tips for lesson planning, supplemental activities and other classroom enrichment ideas.